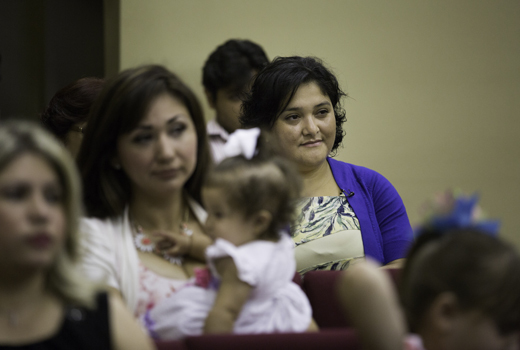 Alba Caceres attends church in McAllen. In 2011, after many of her countrymen began to go missing in the area, she was tasked with opening the first Guatemalan Consulate in south Texas. It was the phone calls to Guatemala that Alba Caceres dreaded most. For a moment, when the family saw the number was from the United States, they would be certain it was their loved one calling to say everything was fine, and their spirits would be lifted. Then they would hear the news. Every call was painful, but they had to be made. As the Guatemalan consul closest to Brooks County, it was Caceres' duty to make sure the bodies of the undocumented migrants who died trying to cross through south Texas made it home to their families. Until 2013, no official effort had been made to identify the bodies of migrants in Brooks County. In 2012 alone, with a record-setting heat wave wreaking havoc, 129 bodies were recovered in Brooks County. In 2013 alone, Caceres had sent 48 bodies back to Guatemala from South Texas. “I remember one woman, a mother searching for her son,” Caceres says. “She would call my cell phone morning, noon and night.” Smugglers had left the woman's teenage son behind on a ranch somewhere near Falfurrias. The woman was convinced that he was still alive. Caceres, with three children of her own, could imagine her agony. The woman gave Caceres a street name and a location on the outskirts of Falfurrias. Caceres called the Border Patrol, but they were unable to locate him. Frustrated, she decided to look for him herself – a decision that violated consular protocol. She drove to Falfurrias, to the place where the smugglers told the woman they'd left her son. “The directions the woman had given me did not match and I couldn't find him,” Caceres says. “You start to think, how many lies will a smuggler tell someone just so they can calm her down?” A rancher found the boy's skeletal remains two months later, she says. At least she could take some comfort in telling the woman the truth, in giving her closure and a body to bury at home. The worst were the missing people who had disappeared without a trace. Maybe they were on a ranch in south Texas' Brooks County, yet to be found, or buried in the Sacred Heart Cemetery in Falfurrias and yet to be identified. She had no information to give these families, and that was the saddest feeling. There was no mourning period, no closure, and the lack of certainty could unravel a family. Their grieving was like a wound that never healed. On a sweltering June day in 2013, Caceres watched as a group of college students lifted white body bags one by one from graves at Sacred Heart Cemetery. She felt lightheaded from the heat and the smell of damp earth, but she couldn't leave. Some of the bones being unearthed belonged to her countrymen. 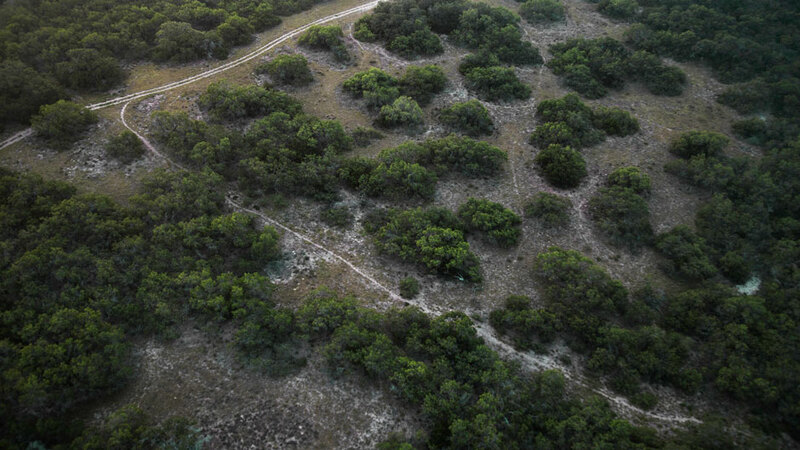 Over the last two decades they had died in Brooks County, felled by thirst and heat, bad health or bad luck, as they hiked through rugged ranchland to circumvent the immigration checkpoint south of Falfurrias. She imagined they'd been filled with hope that in the United States they would find work and reunite with loved ones. Instead they had been buried here among the hundreds of graves under markers that read “unknown.” The least she could do was bear witness to the tragedy that had befallen them so far from home. As a Guatemalan, and a representative of her country, she felt she owed them that much. Not even county officials knew exactly how many bodies of nameless migrants had been buried in Sacred Heart Cemetery over the decades. No one had paid much attention. At first, the unidentified bodies were buried in cheap particleboard coffins, but as the number of deaths climbed, bodies were buried in shopping bags, even trash bags. Local funeral homes placed the migrants' clothing, jewelry and other personal items in plastic Ziploc bags alongside their bodies. Until recently, the county kept no record of the items, or of anything else that might be used to identify the bodies later. They were simply buried and forgotten. Under Texas law, counties are required to conduct DNA testing and autopsies on unidentified remains, but Brooks County, one of the poorest counties in the nation, can't afford the tests. So until 2013, when a professor from Baylor University and her students volunteered to exhume the bodies and do the DNA testing for free, no official effort was being made by authorities to find out who these migrants were, or to get them back to their families. Caceres had come to watch the first phase of the exhumations, which would take three summers or more to complete. Many of the Guatemalan migrants who died in Brooks County came from impoverished, isolated mountain communities; many of their relatives didn't speak Spanish, but one of the more than 20 indigenous languages in Guatemala. Caceres, the daughter of a community leader in a small town in one of Guatemala's coffee-growing regions, knew how the news of a death would ripple through such small communities, touching everyone. Caceres first heard of Brooks County in 2010, as it became evident that her homeland was undergoing a crisis. Spillover from Mexico's drug war, poverty and the growing number of gangs and organized crime groups were pushing people to make the dangerous journey north. Increasingly, officials in Houston, the closest Guatemalan Consulate to the border, found themselves in South Texas dealing with the collateral damage from the crisis. At the Houston consulate, Caceres had a reputation for solving tough problems: a boy who needed a heart transplant, a migrant terminally ill with cancer who wanted to return to his remote village. She was also known for defying protocol to get results. She loathed bureaucracy. “If my boss can't solve the problem, I'm going to the person above him,” she says. “I become impatient, because I want to resolve things like that,” she says, snapping her fingers. Caceres had always felt an affinity for her countrymen seeking a better life abroad. In her twenties, she'd been an undocumented worker in Spain, working three jobs for poverty wages. In Madrid she'd been sexually harassed and exploited by her bosses. Her brother, who had accompanied her to Madrid, had been robbed in the street. “There I came to understand what immigrants have to go through, how they suffer,” she says. After three years working for consulates in Atlanta and Houston, Caceres was promoted from assistant in the legal department to consul. In November 2011, she opened the first Guatemalan consulate on the Texas border, a small office in downtown McAllen with just three employees. Only 31 years old and with the face of a college student and a fondness for bright floral dresses and spiked heels, she was often mistaken for a receptionist at the new consulate. Right away, the need was almost overwhelming. “The missing people, the dead bodies in the river, the sexual violations, human trafficking, human rights violations, deportations – it's a lot of things happening at once, and you just can't stop,” she says. Her biggest shock, she says, was discovering how many people from Guatemala were dying in Brooks County. By 2012, the flow of migrants through Brooks County had begun to escalate, and so had the deaths. Poverty and violence in Central America drove many people northward, and a record-setting heat wave in South Texas wreaked havoc on migrants traveling through the area. That year, 129 bodies were recovered – the most in the county's history. In California, Rafael Hernandez, director of Desert Angels, a volunteer search and rescue group, began receiving frantic phone calls from families looking for missing relatives. In their pleas for help, they all mentioned the same place: a Border Patrol checkpoint outside a town called Falfurrias in Texas. Caceres had begun receiving similar calls. When Hernandez arrived in Falfurrias in the summer of 2012, he, like Caceres, was horrified by the county's haphazard response to the wave of immigrant deaths. Hernandez had a list of more than 400 families looking for missing relatives and Brooks County had a cemetery full of unidentified bodies. Together with the nonprofit Texas Civil Rights Project, Hernandez and other advocates held protests in Falfurrias, and made it known that county officials needed to follow the law and provide DNA testing for the unidentified remains. The protests, press conferences and growing media attention had an impact on the county's elected officials, who promised to remedy the situation. It would cost the county at least $2,000 per body, however, to perform DNA tests, which it couldn't afford. In May 2013, Dr Lori Baker, a professor and forensic anthropologist at Baylor University, offered to exhume the bodies at Sacred Heart Cemetery and test them with help from her students. The University of Indianapolis and Texas State University also pledged to help and, like Baker and her students, volunteered to do the work for free. Baker and others plan to list the information on national missing persons databases so that families from Guatemala and other countries can find their relatives. Caceres began working with an Argentinian forensic anthropologist in Guatemala to collect DNA and compile a list of families with missing relatives to share with Baker and the others working in Falfurrias. For Caceres, who received so many desperate pleas for help, it was difficult to understand why some of the ranchers wouldn't allow search and rescue operations for migrants on their land. “They've saved a lot of people,” she says of Hernandez's group. “His work really moves me, because he works on donations. He drives all the way to Falfurrias from California. He sleeps in the parking lot at Walmart because he can't afford a hotel. Yet they've run him out of the ranches,” she says. Frustrated by the lack of access to the ranches, Caceres asked to ride along with Border Patrol agents on their rounds, hoping to understand what her countrymen endured on their hikes through the rugged terrain. Having grown up in a rural village, she thought she would be prepared. “I thought, 'I'm from the countryside, I can walk through this land and I can handle the heat,'” she says. “But it was unbelievable. We walked for two miles. It's sandy; it's hard to walk. And the sun! Then I understood our people die here because they think the terrain is the same as home, but it's completely different,” she says. Eventually, Caceres felt the weight of her job pushing her downward into depression. “A pastor told me, 'You have to have strength. You can't let yourself feel sad,'” she says. But the phone calls didn't stop, even in the middle of the night, and Caceres often had to leave her family to attend to whatever crisis arose. “Every call is urgent. Someone's family member is missing, or someone died, or somebody is looking for a child.” In 2013 alone, she had sent 48 bodies back to Guatemala from South Texas. Since Caceres' resignation, an even larger influx of unaccompanied children and families from Central America has arrived in South Texas, with many migrants surrendering themselves to immigration authorities in a bid for asylum. Caceres is almost as busy now as before she left the consulate, volunteering at a temporary shelter run by a Catholic church in McAllen to make sure such families receive food and clothing. Freed of diplomatic protocol, she says she's happier now because she can help Hondurans and Salvadorans as well as Guatemalans. She hopes to start an international program to prevent more Central Americans from coming and risking their lives, she says. What continues to trouble her are the people she doesn't see at the shelters along the border, the thousands who will make the dangerous journey through Brooks County this year. Her greatest desire, she says, is to inform Guatemalans about the risks, about the cemetery with the anonymous graves in Falfurrias, and about the ranches in Brooks County where so many have been lost, and may never be found.